A reservist who died just one month after arriving in Iraq was described as "young woman who cared for the downtrodden"
24, of Wahiawa, Hawaii; assigned to the 203rd Military Intelligence Battalion, Army Reserve, Aberdeen Proving Ground, Md. ; died Dec. 24  in Kirkuk, Iraq, of injuries sustained earlier that day when her Humvee was attacked by enemy forces using rocket-propelled grenades in Hawijah, Iraq. She was reportedly in the back seat of vehicle, the last one in a convoy of five. 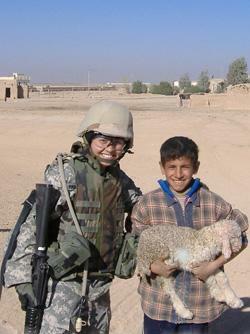 An interrogator and reservest, she only been in Iraq for one month when she was killed, on Christmas eve. Maravillosa joined the Army Reserve in 1999, after graduating from Leilehua High School and two years after moving to the United States....She had attended Leeward Community College and had aspirations of working at a U.S. embassy. 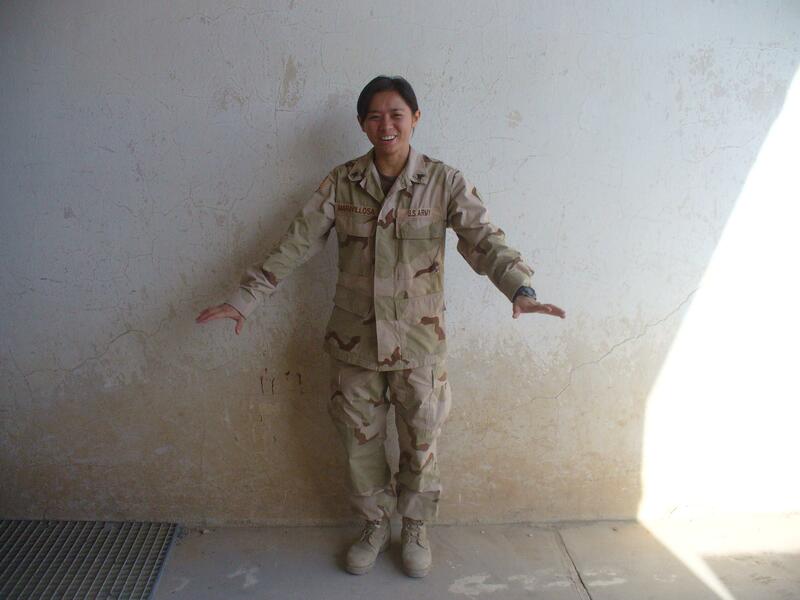 She planned to attend Hawaii Pacific University this year, but was deployed to Iraq on Nov. 20. Several of the accounts of her death stressed that she was quite religious and was considering joining the Daughter of St. Paul's Catholic Order. Sister Susan John Kraus told Catholic News Service that she got emails from Maravillosa showing that "her relationship with the Lord had really deepened." In one of those messages, written just before she went to Iraq, the soldier admitted to being "scared a little bit." However, "God has been inviting me to remain in him," Maravillosa wrote. "If I remain in him, he will see me through and carry me home." 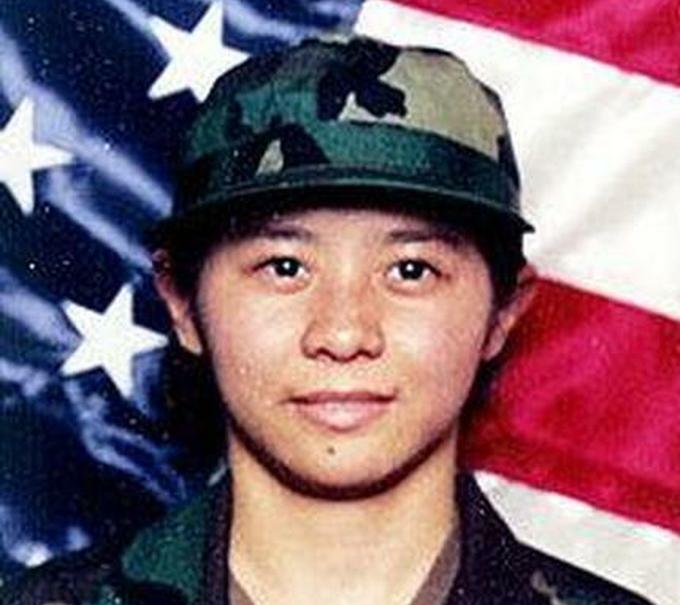 Those who knew her said Maravillosa did not intend to make the military her career. "She met the sisters at the cathedral at Mass and she just felt right away the attraction for religious life," said Sister Susan, one of the sisters who operate the downtown Pauline Book and Media Center. "She would come to visit us and volunteer at least a couple of times a week. "She joined the military for the opportunities that the reserve offered initially," she added. "Things weren't always easy for her. But she stuck with it." "She felt very honored to serve her new country... She was a very loving, understanding, polite and obedient person," she said. "She was a very respectful daughter." "What sorrows I have now, I have to accept because that is her fate.... She died not in vain. She died for a cause — for the freedom of the whole world." "My daughter is the victim. I hope President Bush will remember that one, will realize how many American soldiers are being killed. What I wanted is my daughter will be buried with dignity and honor. That's all I wanted, that all my request will be granted, because that is my last farewell to her. That's all." Brig. Gen Gregory Schumacher, comamnder of the Military Intelligence Readiness Command, flew to Hawaii for the funeral. "She approached everything she did with a positive spiit... She was a servant of God, her country, her fellow man....[She was] a young woman who cared for the downtrodden [and] left joy in the hearts of all those she came in contact with." She was one of the kindest, sweetest, smartest people I've ever met. Your commander fell to his knees, the driver was more concerned about you then his own wounds. I remember the entire base saluting your departure as we flew your body home." I was one of Sgt Maravillosa's instructors at the 97E Course on Ft. Huachuca. We have so many students go through the course that I only remember the really special ones. She was one of those soldiers who never gave up. It was not easy for Myla. She was a petite Filipino woman. We are a family and we have lost a family member. She brings great honor to all Fillipino women, and to all Filipinos." She was buried in Uog, Inabanga, Philippines where she had grown up. Phillippine flags in the province flew at half staff. The Honolulu Advertiser interviewed her grade school teacher, Dulce Betinol who said she could not imagine "this cute, gentle girl, so sweet with a ready smile" joining the Army. "None of us thought or even just dreamed that our (village would) ever produce such a young woman with such commitment, serving at the cost of her life."